heavyweight woollen fabric which is stiff to thetouch. It has a short, thick pile and a high lustre, which cover the four-end weave of broken twill or weave produced by double-cloth production technology. 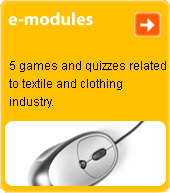 On the back, cotton or mixed low-quality carded yarns are used which are of cotton or mixed. The fabric is fulled, shorn and given a pile-fabric finish. Used for men's winter coats. The name is given by the 19th-century British statesman Henry John Temple Palmerston.